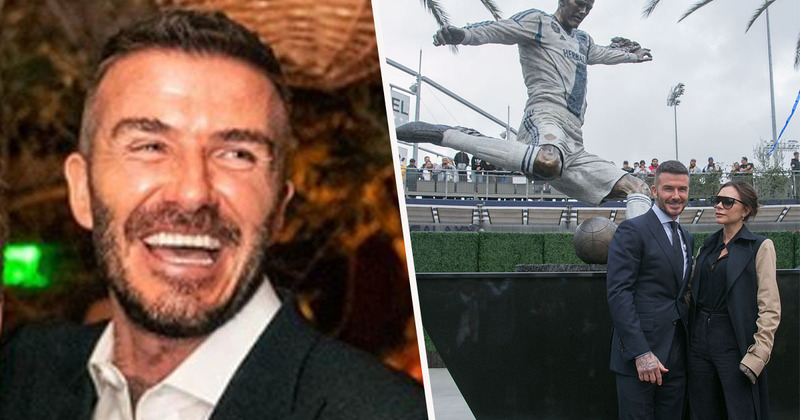 LA Galaxy honoured former player David Beckham with a statue outside their stadium, but unfortunately some think it bears resemblance to Britain’s angriest chef, Gordon Ramsay. Both men are heroes in their own way, but I don’t think it’s quite what the creator had intended. Beckham played for the Los Angeles-based team for six years, where he won the MLS (Major League Soccer) Cup twice. The statue, which is the first of its kind in the MLS, was unveiled in Dignity Health Sports Park ahead of the club’s season-opener on Saturday (March 2). From day one when my family arrived in this city, we felt at home and for that we will be forever grateful. When I talk about LA Galaxy and when I talk about LA, I talk about it as family because it is a big family. I am truly proud you have created something to keep me young and give my family and friends and especially my kids, who can come here one day very soon and see something of their father and see what we created and what I achieved. 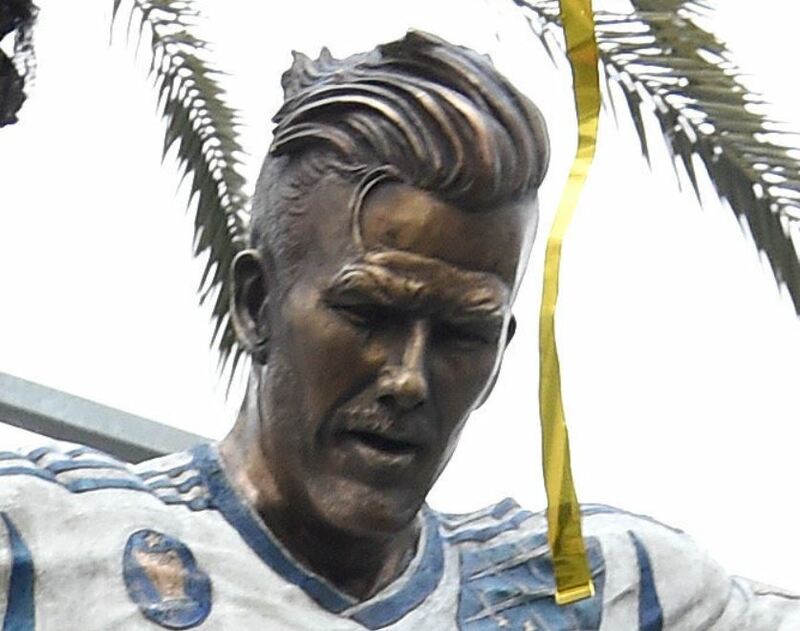 While the permanent reminder of Beckham’s accomplishments is certainly thoughtful and well-deserved, the sculpted face wouldn’t be too out of place in an episode of Hell’s Kitchen. It’s not hard to imagine him staring with disgust at an undercooked dish just out of shot, is it? Tell me why it looks like David Beckham is standing in front of his dad Gordon Ramsay’s statue. In all fairness, the footballer has been likened to Ramsay in the past, so it’s not necessarily the sculptor’s fault the statue inadvertently pays tribute to the fiery chef. At least the football kit and the big plaque with ‘David Beckham’ written on it work as giveaways as to who exactly the statue is supposed to be honouring. Although, I suppose you could choose to believe it represents whichever man you look up to most? Who do you think the statue better resembles?